Beautifully Designed Websites for your Business that you control. Nowadays, if you’re in business, you need to have some sort of web presence. Building a website when you’re busy dealing with your clients and business can be hard to do yourself. In fact I’m willing to bet you have it on your to do list, “build a website” but it keeps getting put to one side because you’re so busy. I hear you. Building websites can be hard work when you’re not massively interested in them. You know that having one would be a benefit, your clients could easily find your details and future clients could see your portfolio of work. This you want, where to start though? There’s no doubt about it, having a website when you’re in business is a fantastic tool, one that you can use to keep in touch with your clients, quickly and more easily than you could with the old dog and bone. So this is where I come into the equation. 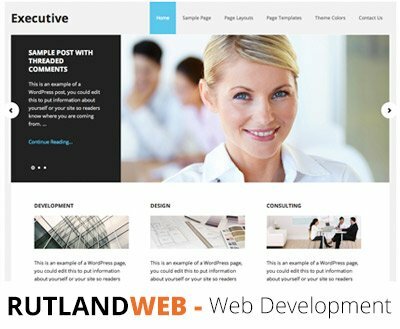 My name is Simon, I live in Rutland and I love making websites. For the last 14 years I’ve been on a mission to learn as much about building websites as I can and I’m still learning every day. It would be great to work with you to solve your web problems. You might either not have a website or perhaps yours is in need of a revamp? Either way I think I can help you. I’m not going to bore you with “Blue Sky out of the box thinking”, all that guff that advertising agencies try to bamboozle you with. We both know a lot of it is little more than hot air. Well I use a Mac so I guess it goes with the image! Seriously though, I like a no nonsense approach, tell me what you want and I’ll sort it for you. If I think it can be achieved then I’ll do it, if I don’t think it can be I’ll tell you. I’ll be able to get you sorted with a website, Facebook page, twitter account, LinkedIn, Pinterest, whatever your business needs. I know how to help you sort out your online social side, where all the bits of code go so when you post on your website it’s gets posted all over the social networks too. Being a Yorkshire man I like to be honest with people, I know lots but there is always something new to learn in web design, if I don’t know something, I’ll learn it so you don’t have to and you get what you need. I primarily use the free open source WordPress Content Management System because it means your website will always be secure and up to date and anything you want to do with your site in the future will be possible with WordPress and generally for free! I also use the Genesis Theme Framework as a base to work from to ensure the very best and updated Security for your website. Sparked your interest? Ready to get your business website up and running? Give me a shout and let’s see what we can do for each other. You can email me here, get intouch via social media (the links are to the left), or pick up you old dog and bone! Hope to hear from you soon, you can email me on my contact page, you will also find my other details there too.